The area to the South of the Thames is London's most underrated region, boasting stunning architecture, world-class art and culture, and a host of other attractions and sporting venues. Found on the Thames' south bank, minutes from central London, are The Shard (London's tallest building), the Tate Modern (the country's leading modern art gallery), HMS Belfast (a museum ship moored on the Thames) and Shakespeare's Globe (a faithful reconstruction of the Bard's theatre). Further afield you will find Maritime Greenwich, London's third World Heritage Site after the Tower of London and the Houses of Parliament. There are a number of things to do here, including the National Maritime Museum, the Cutty Sark, the Queen's House, Greenwich Park and Greenwich Royal Observatory (the home of Greenwich Mean Time), as well as a relaxed and convivial town atmosphere. Other South London attractions are the Old Vic Theatre (enjoying a renaissance under Kevin Spacey's leadership), the Imperial War Museum (the nation's war museum), and The Oval cricket ground (the ground on which The Ashes were born). At 310 metres (1016 ft), the Shard is the tallest building in Western Europe, overtaking London’s Canary Wharf (235 metres) and Frankfurt’s Commerzbank Tower (259 metres). Designed by Renzo Piano (the architect responsible for the Pompidou centre), and built between March 2009 and July 2012, this striking pyramidal glass-clad building dominates the London skyline to the south of the Thames. It comprises 95 floors (72 of them habitable), 110,000 square metres of space, and 44 elevators. Floors 2-28 are devoted to office space, with restaurants occupying floors 31-33. The Shangri-La Hotel occupies floors 34-52, offering 200 luxuriously appointed rooms. Ten residences, reputed to be worth £50 million each, are found between floors 53 and 65, with floors 68-72 devoted to The View from The Shard. The remaining floors house The Shard’s distinctive spire. Opened in February 2013, the viewing floors are at almost twice the height of any other viewing platform in the capital; they offer 360-degree views extending for 40 miles. 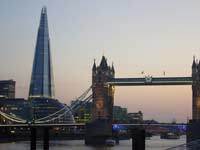 The Tower of London and Tower Bridge are the closest attractions, with the London Eye, the Houses of Parliament, the Royal Parks, Wembley Stadium, St Paul’s Cathedral, the City (and the Gherkin), the Olympic Park, Canary Wharf and the Thames completing the panorama. The visitor experience is enhanced with exhibitions about London, viewfinders, interactive displays and recorded sounds from everyday London. Visitors are whisked up to The View from The Shard by high-speed lifts in an ear-popping 30-second journey. All tickets are for a specific time-slot, eradicating long queues. where? The Shard, Joiner Street, Tower Bridge, London. Tube: Tower Bridge. when? 9am to 10pm daily. Closed Dec 25. £$€¥ Adults: £25.95; Children (up to 15): £19.95 (but only if booked online in advance; a £5 surcharge applies to tickets booked on the day). Maritime Greenwich, situated on the south bank of the Thames, is London’s third world heritage site. 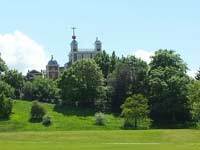 the picturesque Greenwich Park (which occupies 74 hectares, offers great views of the Docklands and the City of London, and is home to a small herd of red and fallow deer). Greenwich has a more relaxed pace than central London, and also offers good dining, the traditional Greenwich Market (established in 1737, with antiques, art, crafts and fashion stalls), cosy pubs (such as the Greenwich Union and the Plume of Feathers), and boutique shopping. where? Closest tubes: Tower Gateway and Cutty Sark (both DLR). Overground: Greenwich and Maze Hill (trains from Charing Cross, Waterloo East, Cannon Street (not Sundays) and London Bridge). when? 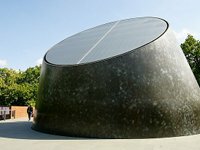 The National Maritime Museum and the Royal Observatory are open from 10 am to 5 pm, 7 days a week (not 24-26 Dec). £$€¥ The National Maritime Museum, Queen's House and Greenwich Park are all free. The Tate Modern, on the south bank of the Thames, is Britain’s most important museum of modern art. Its galleries are housed in the converted Bankside power station, instantly recognisable by virtue of its 99-metre tall central chimney. 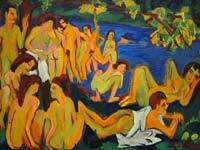 Its permanent exhibitions include works by Picasso, Lichtenstein, Warhol, Matisse, Monet and Rodin. The Tate Modern's top 10 works include Roy Lichtenstein's 1963 work 'Wham! ', David Hockney's 1967 'A bigger splash', Sir John Everett Millais' Ophelia, Andy Warhol's Marilyn Diptych, Henri Matisse's The Snail, Pablo Picasso's Weeping Woman and Salvador Dali's 1937 work Metamorphosis of Narcissus. Also of note is the museum’s massive turbine hall, which houses large specially-commissioned works, and the museum’s seventh floor bar and restaurant, with spectacular views over the Thames. The thing to do in South London for art lovers. where? Bankside, London SE1 9TG. Tel: 020 7887 8888. Tube: Southwark, St Paul’s, Waterloo. when? 10 am to 6 pm Sun to Thurs; 10 am to 10 pm Fri and Sat. Closed 24 to 26 Dec.
Shakespeare’s Globe was an Elizabethan playhouse built by the Lord Chamberlain’s Men—William Shakespeare’s playing company—in 1599 and destroyed by fire 14 years later. The reconstructed theatre, sited 750 feet from the original Globe, was opened in 1997, some 27 years after American actor and director Sam Wanamaker established the Globe Trust to raise money for its construction. The new Globe is a faithful reconstruction of the original, made of English oak held together with wooden pegs, lime and plaster (and no structural steel). The Globe is crowned by the first thatched roof permitted by the London planning authorities since the 1666 Great Fire of London. A ‘thrust’ stage protrudes into a central courtyard, surrounded by three tiers of raked seating. The capacity of about 1500 is divided into groundlings (who stand in the open-air central courtyard) and those who sit on benches in the surrounding covered galleries (cushions are available for hire). The stage is illuminated by floodlights, but there are no microphones or spotlights to be found; and the music is played without amplification on period instruments. Tours of the theatre are available year round, with evening performances of mainly Shakespearian works taking place from mid-April to mid-October. A unique attraction for those who love the theatre. 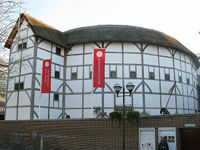 In 2016, Shakespeare's Globe will put on performances of A Midsummer Night's Dream, Macbeth, The Taming of the Shrew and The Merchant of Venice. where? Shakespeare's Globe, 21 New Globe Walk, Bankside, Central London SE1 9DT. Tubes: Blackfriars, St Paul's, Southwark. when? 10am - 5.30pm, 7 days a week. Closed 24 and 25 Dec.
£$€¥ Tours cost £13.50 for adults and £8 for children. The Imperial War Museum, housed in the converted Bethlem Royal Hospital, was founded in 1920 and is the country's national museum for war. Attracting almost 1 million visitors each year, it displays 13 exhibitions in 15,000 square metres of gallery space over six floors. The Museum's central atrium displays large exhibits, including a Spitfire, the gun which fired the first British shot in WWI, V1 and V2 rockets, the 'Little Boy' atomic bomb, a number of tanks and other military vehicles, and a one-man German submarine. Visitors will find the WWII galleries in the basement: arranged in chronological order, they tell the story of the war from political developments leading to the outbreak of hostilities in 1939, to Dunkirk and D-day, to the dropping of the atomic bombs. Don't miss the Blitz experience, which allows those with a firm constitution to enter a reconstructed air raid shelter and experience the sights, sounds and smells of a simulated raid. The Secret War exhibition is another favourite, charting the world of espionage and covert operations from the formation of MI5 and MI6 before WW1, to the cold war, and then to today's use of special forces. The exhibits include a captured German enigma machine and secret radios used by MI6 operatives during the cold war. Other exhibitions include the WW1 galleries, Crimes Against Humanity, the Holocaust Exhibition and Service in Afghanistan. A highly rated cafe is found on the Museum's ground floor. A must-visit South London attraction for history buffs. where? The Imperial War Museum, Lambeth Road London SE1 6HZ. Tel +44 (0)20 7416 5320. Tubes: Lambeth North, Waterloo, Southwark and Elephant & Castle. when? Daily 10am to 6pm. Closed 24-26 Dec.
£$€¥ Free. Audio guides are available to hire for £3.50. HMS Belfast is a light cruiser that played an active role in the Second World War. It is now a museum ship moored on the south bank of the Thames. Weighing 11,500 tonnes, HMS Belfast is 187 metres long, 20 metres wide and had a maximum speed of 32 knots. She was launched in 1938 and was armed with 2, 4 and 6 inch guns and six 21-inch torpedoes. During WWII, HMS Belfast was initially part of the naval blockade of Germany. But she struck a magnetic German mine in November 1939 and was not fully repaired until early 1942. 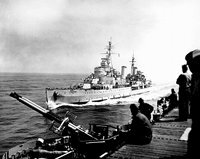 Thereafter, HMS Belfast served on Arctic convoy duty, played an important role in the 1939 Battle of North Cape, participated in D-Day and thereafter joined the British pacific fleet. Visitors are free to explore the ship’s nine levels. Start with the ‘Life on board the ship’ exhibition, and take in the mess, sick back, dentist’s surgery and the crew’s cramped living conditions (hammocks for the 950 sailors on board were slung 52 centimetres apart!). Move on to the ‘Inner Workings’ displays, which includes the engine and boiler rooms. The upper decks are devoted to the ‘Action Stations’ exhibits, in particular the bridge and the operations room. where? HMS Belfast, The Queen's Walk, Tooley Street, Central London, SE1 2JH. Tube: London Bridge. when? Open daily. Nov to Feb: 10am – 5pm. Mar to Oct: 10am – 6pm. £$€¥ Adults: £14.50. Concessions: £11.60. Children: free. The Cutty Sark is the world's sole surviving tea clipper. It was by Scott & Linton in 1869 at a cost of £16,500, and thereafter used for transporting tea from China and then wool from Australia. With a top speed of 17.15 knots, weight of 963 tonnes, length of 85 metres, height of 47 metres and width of 11 metres, the Cutty Sark was one of the most advanced tea clippers ever built. She often competed in the race to bring the first harvest of tea back from China (losing in the famous 1872 contest to The Thermopylae, after damaging her rudder in a heavy gale). Whilst the Cutty Sark only had a comparatively short working life—coming into service at the same time as steam ships were gaining in popularity, and retiring from active service in 1922—she held the world record for the shortest voyage from Australia for ten years (73 days). The Cutty Sark was severely damaged by a fire in 2007, reopening in spring 2012. Visitors are able to walk around and underneath this great ship (and her towering masts with over 11 miles of rigging), take the helm at the ship's wheel, explore the hold in which its cargoes of tea and wool were stored, and imagine the life lived by its 26 crew (perhaps catching a glimpse of the 'ghost' of the ship's cook in the master's saloon). There is a gift shop, and the Even Keel Café is highly rated. where? Cutty Sark, King William Walk, Greenwich, South-east London SE10 9HT Closest tube: Maritime Greenwich (DLR). when? 10am to 5pm, daily. £$€¥ Adults: £12; Concessions: £9.50; Children: £6.50. 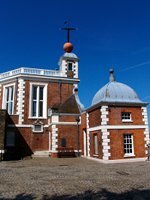 Commissioned in 1675 by King Charles II, the Greenwich Royal Observatory is found on a hill overlooking Greenwich Park, the Thames, Docklands and the City of London. The Observatory, designed by Sir Christopher Wren, is sometimes referred to as Flamsteed House, after the first Astronomer Royal to live here John Flamsteed. Best known as the home of the Greenwich or Prime Meridian, the Royal Observatory has played a critical role in the development of astronomy and navigation. The Greenwich Meridian, the place from which longitude is measured, was established in 1851 and adopted at an international conference in 1884. It passes through the transit circle of the Observatory and is marked by a brass strip in the courtyard (making a photograph with one foot in the eastern hemisphere and the other in the western hemisphere obligatory!). These days the position of the Meridian line is marked at night by a green laser. Greenwich Meantime was also historically calculated from celestial observations made at Greenwich. A red time ball installed at the top of the Observatory in 1833 (pictured) still drops daily at the exact moment of 1pm. Its original purpose was to assist the world in synchronising their clocks. Other attractions include a small museum of astronomical and navigational tools, including John Harrison’s H4 marine chronometer, the Time and Longitude and Time and Greenwichexhibitions, and the 120-seater Peter Harrison Planetarium (housed inside a 45-tonne truncated cone). where? Greenwich Royal Observatory, Blackheath Avenue, Greenwich, South-east London, SE10 8XJ. when? 10am to 5pm, daily. Closed 24-26 Dec.
£$€¥ Adults: £9.50; Concessions: £7.50; Children: £5. Owned by the Duchy of Cornwall, the Oval is an international cricket ground. It is home to Surrey County Cricket Club and was the venue for the first test match ever held in England. On that occasion, England beat Australia by five wickets and WG Grace scored a century on debut. But two years later, in 1882: England lost to Australia on the same ground; a newspaper called The Sporting Times published a mock obituary (announcing the death of English cricket); the bails used in the match were burned and placed into a tiny red urn; and The Ashes were born. That contest, played every two years, has developed into cricket's greatest rivalry. Located close to Vauxhall, South London, the Oval has a capacity of 23,500 and is well known for its fast, bouncy wickets, towering gasometers and for hosting the last test match of each summer season. 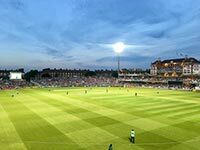 The Oval has a rich sporting pedigree, having hosted the FA Cup final for over 20 years, the first football international ever played by England, rugby internationals, exhibition matches for Australian rules football, and matches in five cricket world cups. Recent years have seen a number of developments, with the Surridge, Fender, Jardine and Peter May stands being replaced by the elliptical £25 million OCS Stand in May 2005, permanent floodlights being installed in 2009, and a further plan to replace the Lock and Laker stands with a new stand and hotel. 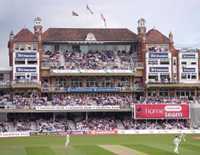 2016 will see the Oval host a one-day international match between England and Sri Lanka on 29 June and the fourth and final test match between England and Pakistan between 11 and 15 August. 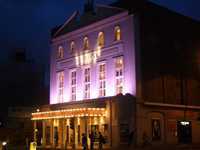 The Old Vic is a theatre a stone’s throw from Waterloo station, just south of the Thames. Established in 1818, it has seen performances by household names such as Laurence Olivier, John Gielgud, David Suchet, Alec Guinness, Judi Dench, Maggie Smith and Peter O’Toole. The Old Vic was badly damaged during the second world war, and had to be substantially rebuilt. It nevertheless retains a number of its original features, and is often said to have a grand interior, with lashings of red velvet. The auditorium is U-shaped, meaning that a number of seats in the dress and Lillian Baylis circles give a side-on view of the action. Overall, the theatre has a capacity of 1,067. The Old Vic is currently enjoying a renaissance following the appointment of Kevin Spacey as its artistic director in 2003. Its productions for 2016 include Ralph Fiennes starring in Henrik Ibsen's The Master Builder and Timothy Spall starring in Harold Pinter's The Caretaker. Just down the road is the Young Vic, a smaller theatre formed in 1970 and rebuilt in 2006. With a capacity of 420, it focuses on showcasing new writing talent and attracting a younger audience than its older namesake. where? The Old Vic, The Cut, London SE1 8NB. £$€¥ Prices for Under-26s start from £12. Older adults pay an average of £30 per ticket.